Flying open too early with the front shoulder is a common mistake, resulting in a swing and miss, foul ball, weak ground ball or pop up. To prevent pulling off, track the ball; making contact closer to your body, and develop your hitting approach. You can’t hit what you can’t see! During batting practice keep your head as still as possible. A simple method to fix pulling your head off the ball, place your hat in front of home plate; using it as a focal point after you finish your swing. Pulling off the outside pitch generally results in a weak ground ball. A pull-only hitting approach may work for a limited few hitters, in general, it is best to practice hitting the outside pitch to the opposite field. Jumping out at the baseball and lunging increases the perceived speed of a fastball by 5 miles per hour; triggering you to collapse your front knee. Creating an excessive movement of your head (and more critically, your eyes), affecting your ability to track the ball efficiently. Relaxing helps you to stay back, and potentially decreasing the speed of a fastball by 5 miles per hour. 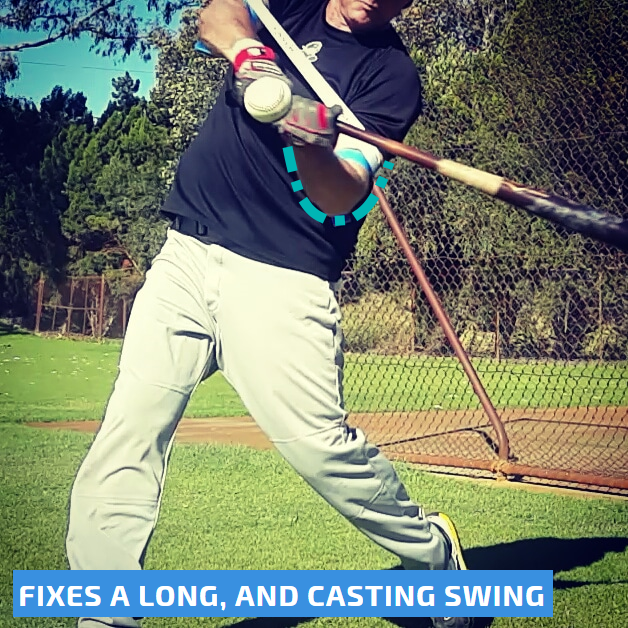 When you are unable to keep your hands inside the baseball, you will develop a long swing and casting swing, making it difficult to hit an inside fastball. Rolling over with your top hand before contact, triggers a weak ground ball swing. Top and bottom hand isolation drills are best for fixing a ground ball swing. Your eyes are the trigger for your swing; subconsciously, your brain receives the visual information from your eyes. If you fail to track the baseball you’ll start your swing too early. 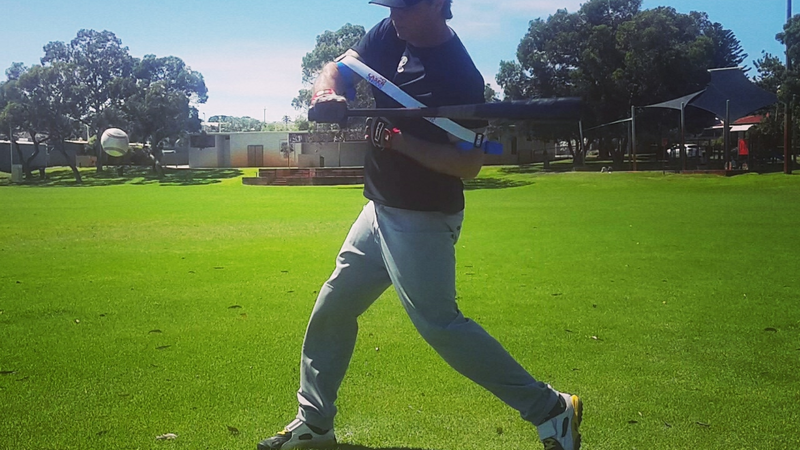 Track the ball closer you to body, using a compact, and powerful swing path. Doubting your abilities to hit the baseball before you step up to the plate, severely affects your chances of success. Some hitters have bad mechanics, however, hit well on game day; using a firm belief in their abilities, staying relaxed, and keeping things simple, hence; developing supreme confidence on the field. 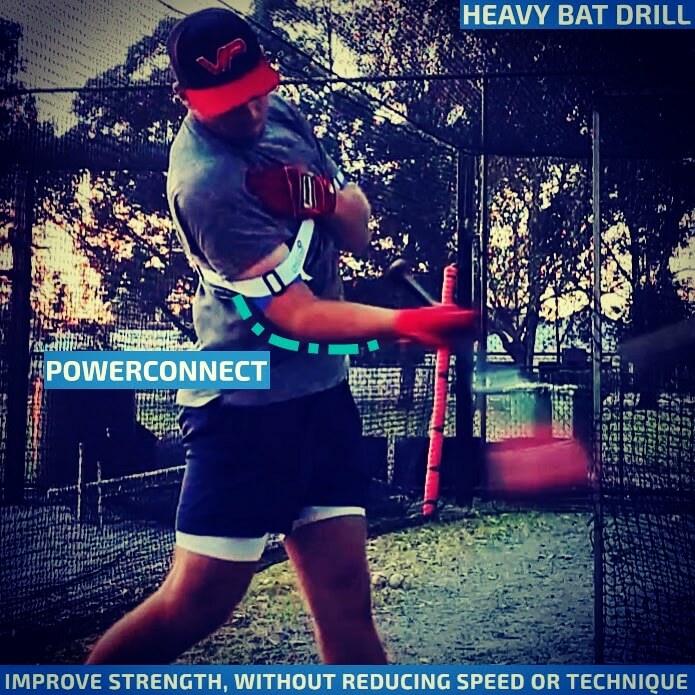 Plate discipline is critical for successful hitting, tracking the ball transfers visual information from your eyes to your brain, enabling you to make a split-second decision whether to swing or not. “Close your mind and open your eyes,” blocking all conscious thoughts, focusing on seeing the baseball. Excessive conscious thoughts impair your subconscious mind’s ability to run your swing on autopilot. 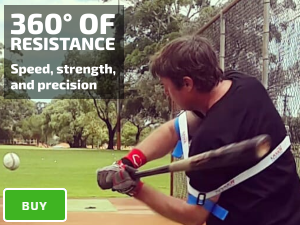 Trying to hit the baseball too hard, or attempting to pull every pitch for a home run, triggers “flying open,” “pulling your head off the ball,” and falling off-balance on your swing follow through. 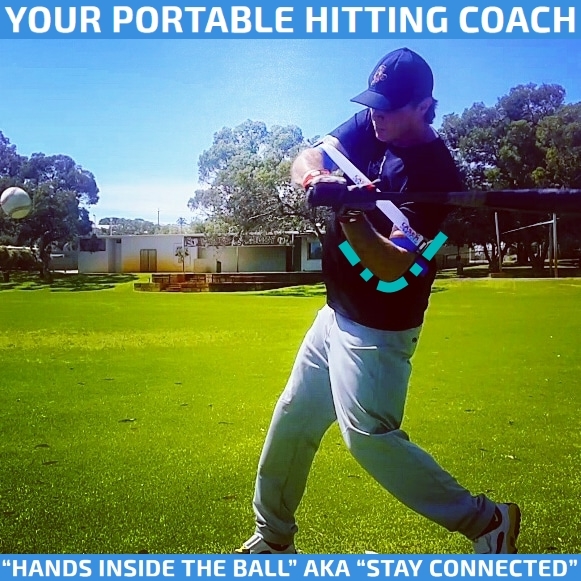 Develop your hitting approach, stay within yourself, stay back, with the confidence to track the ball.